SanDisk announced a new integrated Solid State Drives (iSSD) and claims that it is the World’s Smallest 64GB SSD with measures of only 16 x 20 x 1.85 mm and weighing less than one gram. Designed to be used in tablet PCs and ultra-thin notebooks, the drive uses a Ball Grid Array (BGA) form factor, SATA interface, and is compatible with all leading operating systems. 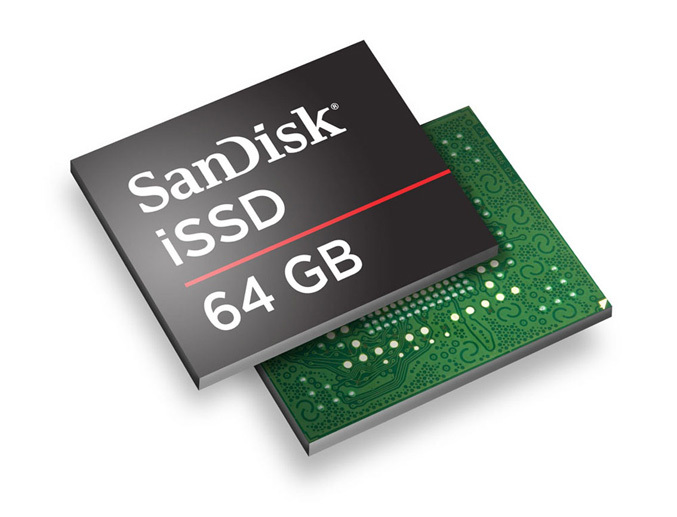 The SanDisk iSSD is available in capacities from 4GB to 64GB and offers speeds of read /write – 160MB/sec and 100MB/sec.